For more and more classic cars and young classics, KW automotive is developing suspension applications that offer a significantly added value. The new KW classic suspensions feature forged streering knuckles (forged spindles) on the front struts for the BMW E30. Which means the time-consuming process of customizing the original struts when converting to a modern suspension is no longer required. Fans of classic automobiles often face the challenge that the advanced development of tires today barely matches up with the suspension technology of the 70’s and 80’s. Older suspension and damper developments, with standard technology from the time of their market launch, combined with modern tires can be very difficult to control in regards of driving behavior. This is not the case with KW’s suspensions! 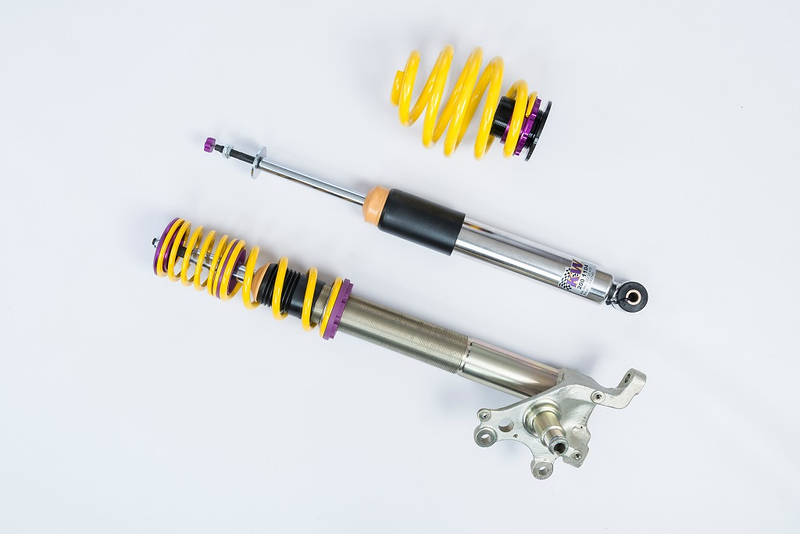 The new KW classic coilover kits differ from the well-known KW coilovers for the BMW E30 that the front axles struts have forged steering knuckles also known as forged spindles. This no longer requires the time-consuming processing of the original parts. Without any trouble you also can use through our state of the art dampers modern tyres. Our high-performance dampers have different valve technologie for an Independent adjustment of the compression and rebound stages. Due to the KW coilovers available for the BMW E30, the driving dynamics is greatly increased and the BMW classics are much easier to control, with modern tyres and larger rims even at the Limits of driving dynamics. 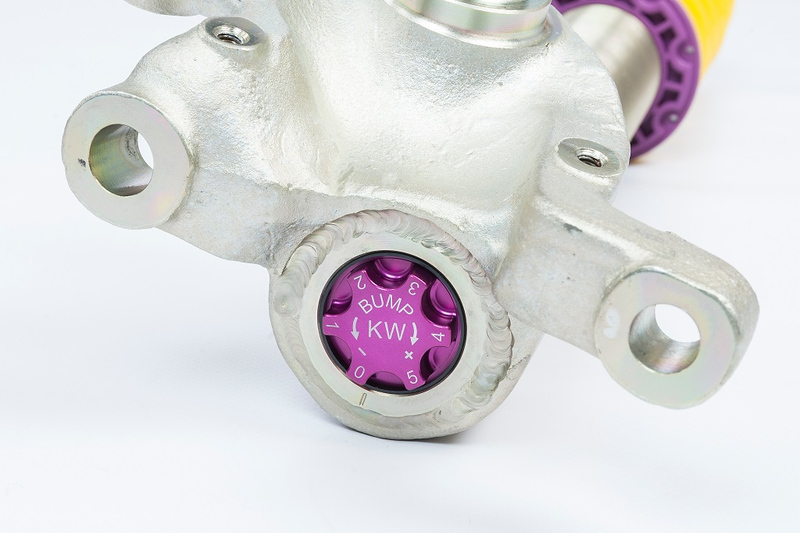 In addition to the Variant 3 with dampers independently adjustable in compression and rebound there is also the KW Variant 1 without adjustable dampers for the BMW E30 available. Both KW coilovers enable for the timeless E30 to be continuously lowered at the front axle from 60 to 80 mm and at drive axle from 55 to 80 mm. With the KW Variant 3 with it’s adjustable dampers, it is also possible to adapt the driving behavior of all BMW E30 (except ix-models with permanent four-wheel drive and M3) to the personal driving demand. The rebound adjustment which can be adjusted with 16 clicks allows to directly take influence on handling and driving comfort. By increasing the rebound force, the body movements are reduced. The E30 drives with more ride stability at fast cornering speeds. In our dampers we also use pre-configured high-speed compression valves. This has great advantage that, for example, when crossing large transvers Joints or Speed bumps, Bypasses channels in the damper open and the Piston rod can dive in. Simply said, the wheels are springing in when driving over a bump and even at high speeds, the tyres do not lose grip. This blow-off-characteristic of the KW coilover suspension makes sporty driving safer.With the compression damping that is separately adjustable with twelve clicks, for example the traction of the tyres can be increased and the handling and ride comfort can further be influenced. 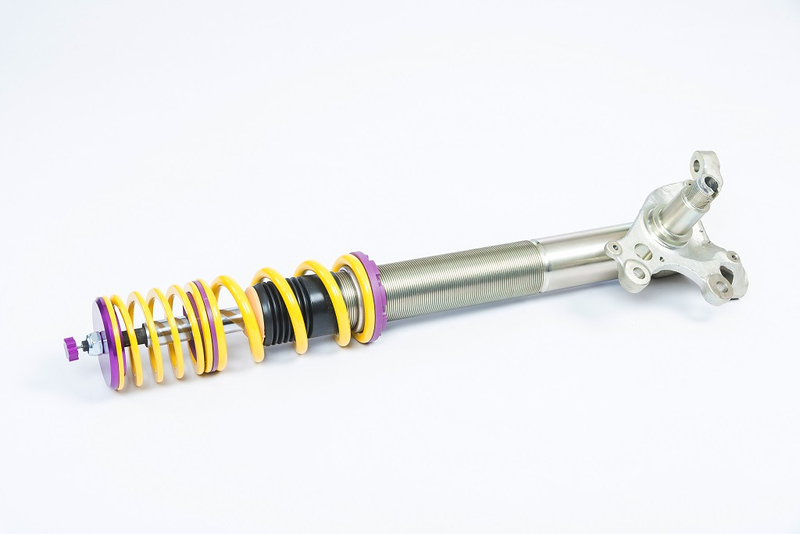 While for the well-known KW coilovers Variant 1 and Variant 3 the series struts must be sent to KW in advance for processing, the KW classic coilovers are available including forged knuckles on the suspension strut, which at the the end are the cheaper Investment for the BMW E30 Enthusiast. WATCH: $1500 for a LSD?!?! Why the OS Giken Super Lock Limited Slip Differential is worth it!